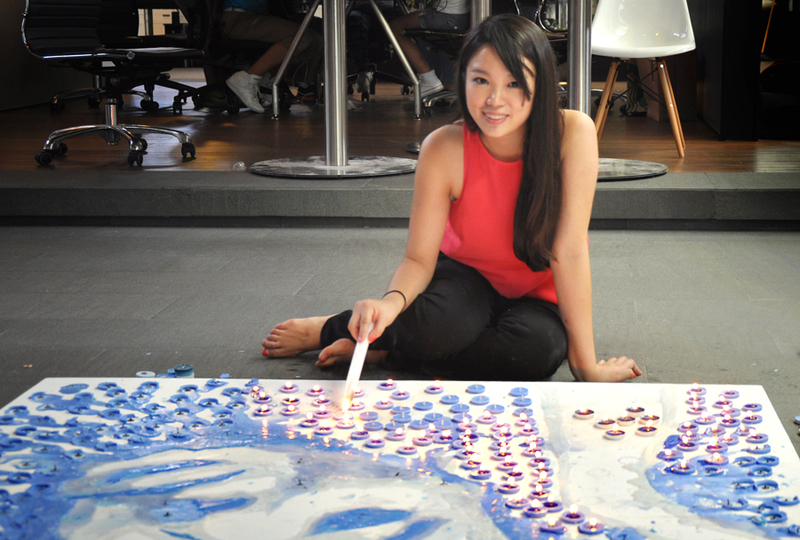 Video: Artist Red (Hong Yi) recreates Adele's Song "Set Fire to the Rain"
RED, otherwise known as Hong Yi is an awesome British visual artist that created a candle wax-based painting of Adele for her latest project. “I’m doing a 4 part project involving the 4 basic elements: fire, water, wind and earth. So for fire, I chose to do Adeele’s portrait. Her song “Set Fire To The Rain” inspired me to use candles and fire as my painting materials. But, why?